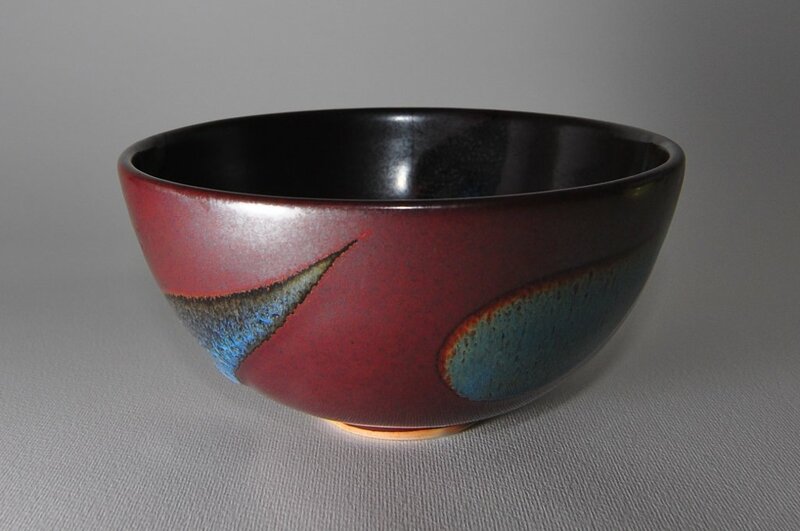 21 of these burgundy, wheel-thrown bowls, were commissioned by Queensland’s Premier’s department in December 2006 to be given as gifts by the department. 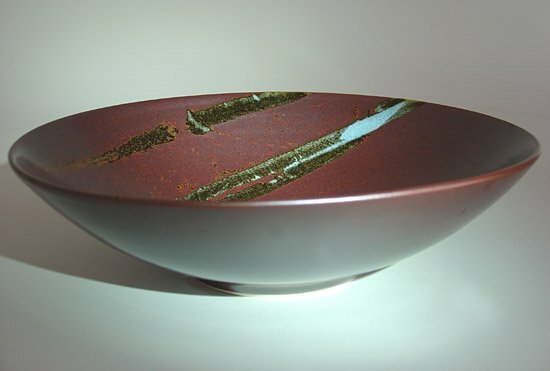 The bowls now feature in the Corporate Catalogue of Artisan Gallery, Brisbane. 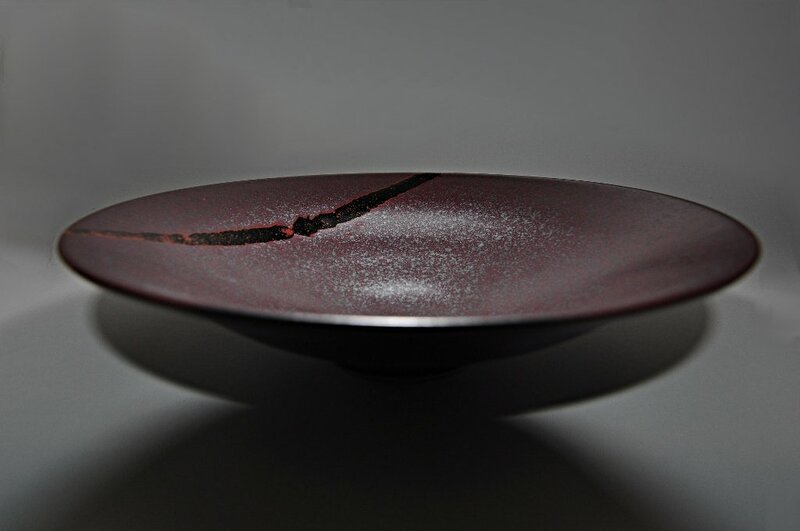 Each bowl, individually handcrafted from porcelain, was fired to 1280 degrees centigrade in reduction. 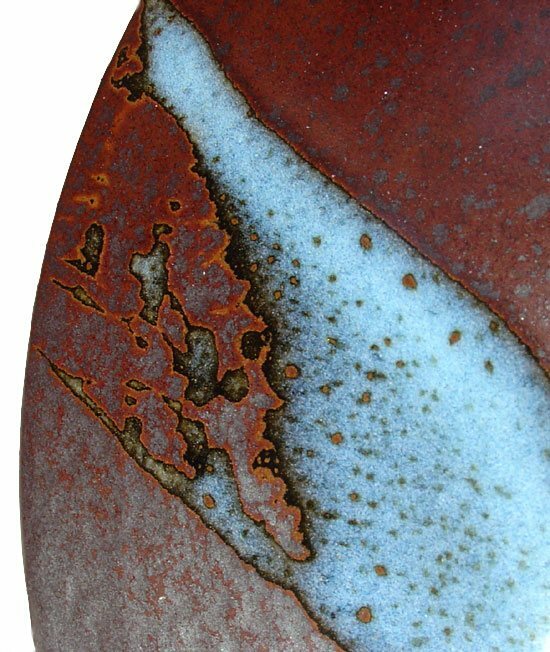 They are finished with a feldspathic glaze and the sparkling crystalline surface is the result of a slow cooling, which causes visible ’spangles’ of haematite to form from an iron-rich glaze. 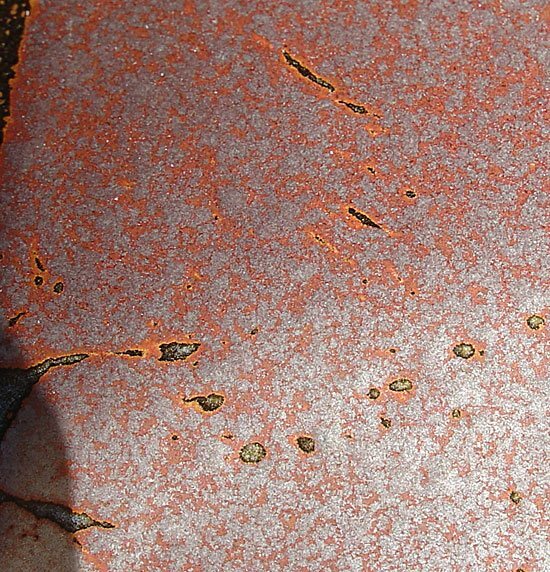 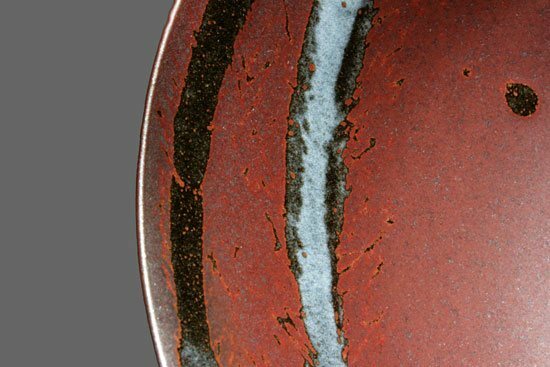 The overlaid glaze is a traditional chun glaze appearing black where thin and blue where it is thicker. 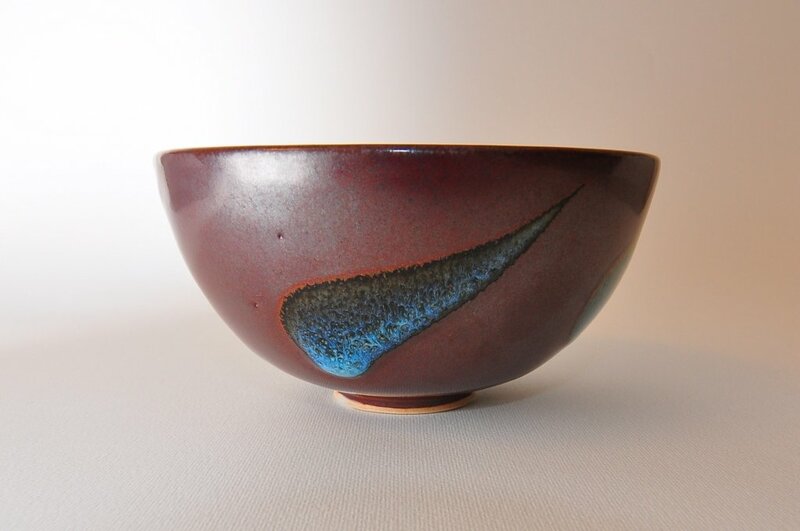 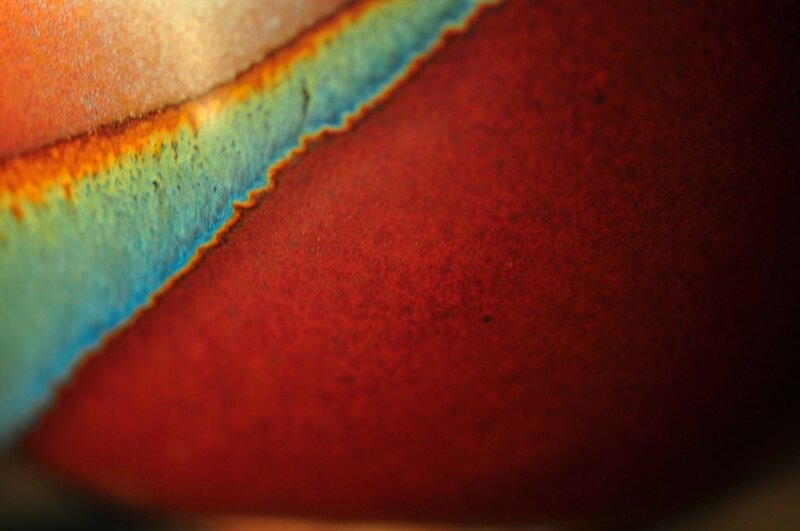 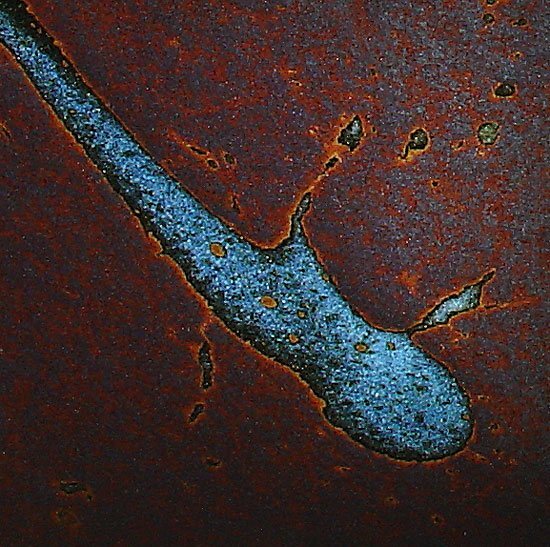 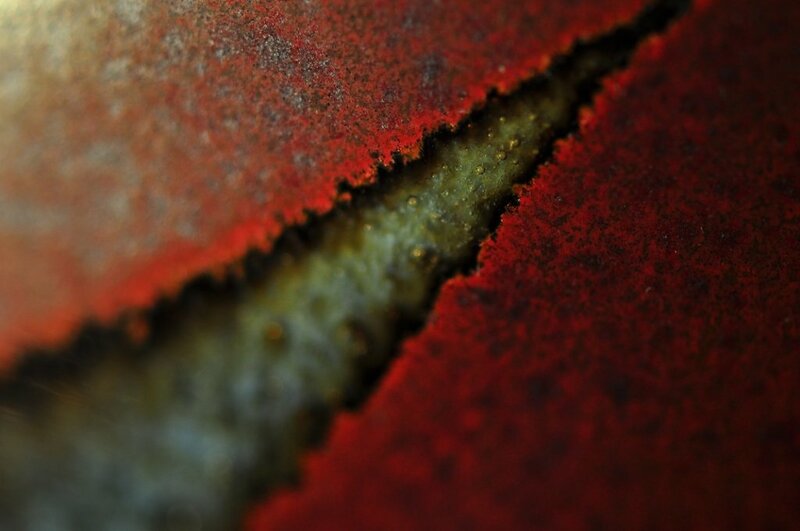 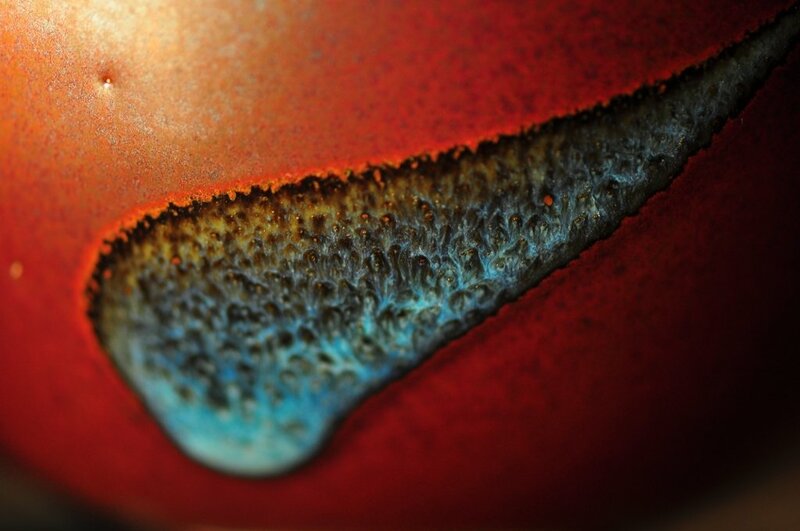 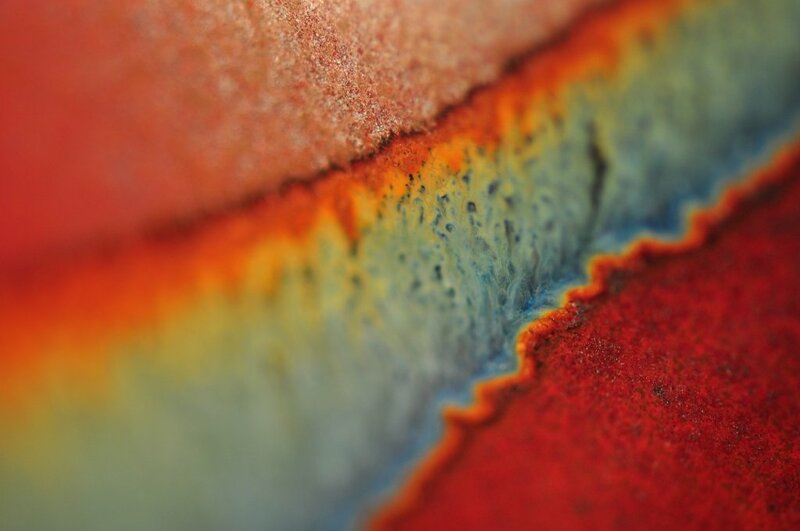 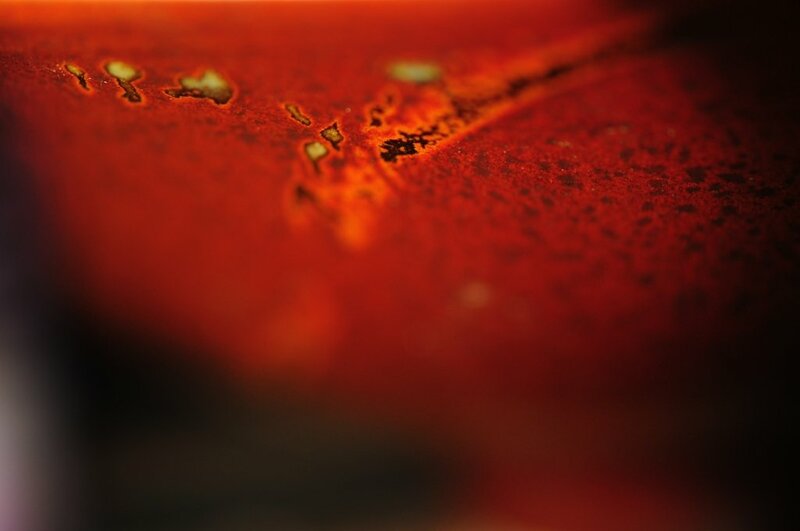 The glaze is applied in a spontaneous manner conferring individuality to each piece.